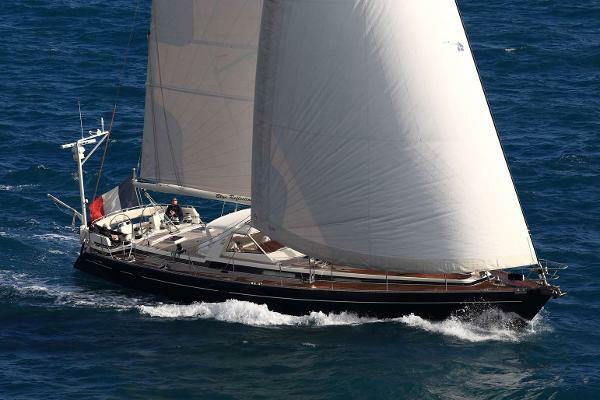 BLUE REFLECTION is a modern, sporty Jongert 2100s offering a level of top quality workmanship, a high level of comfort and safety that is not easily matched by other sailing yachts. Her improved hull shape over precedent 2100 models features a larger stern for better sailing performance and offers a double helm aft sailing cockpit for excellent view. 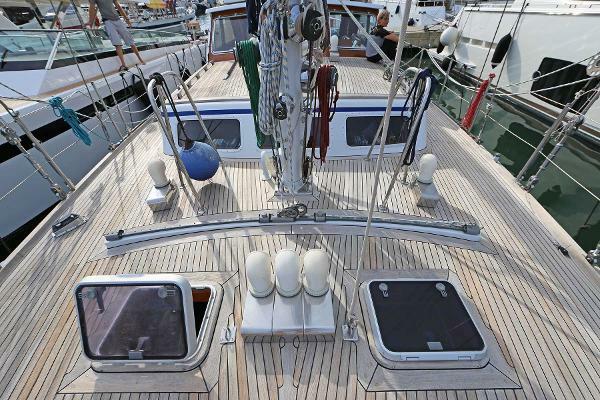 She features a spacious garage aft for stowage and a large hydraulic platform for easy access to the water. Her central semi-open deckhouse with cockpit is the social center of the yacht. It provides excellent protection, offers 360° views and can be completely enclosed with a canopy. The interior furnishings and the teak flooring throughout the yacht create an especially elegant and pleasant atmosphere. 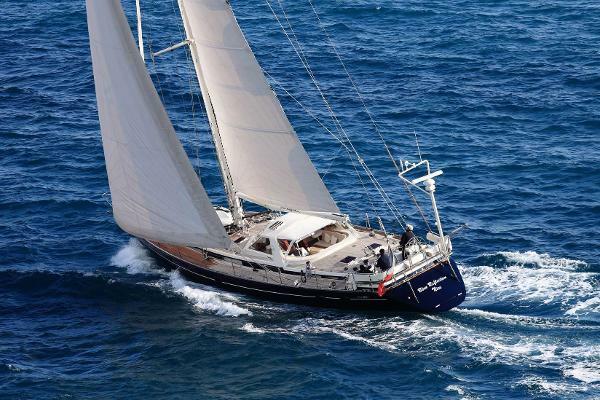 The communication area inside the yacht features a chart table and navigation equipment to starboard and just aft a fully-fitted professional galley with a companionway that leads to the engine room and the large owners cabin in the aft. All machinery can be quickly and easily accessed and maintained in the large engine room. 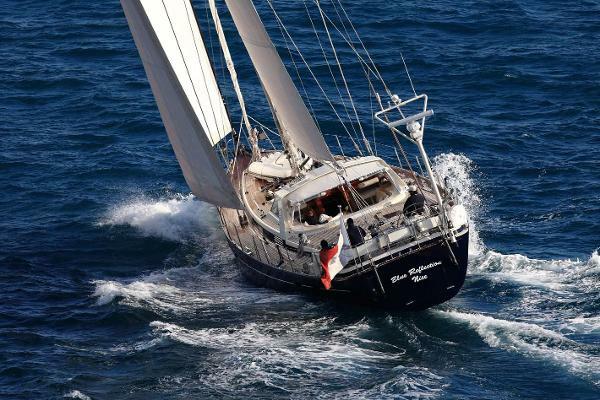 Since launch BLUE REFLECTION is kept in top condition by her experienced crew. 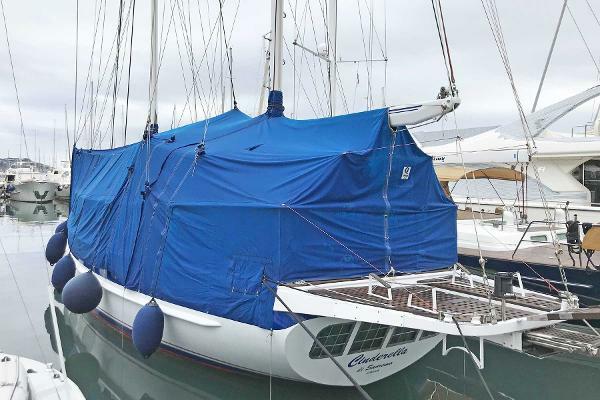 The actual owner placed her every winter ashore and covered her completely. 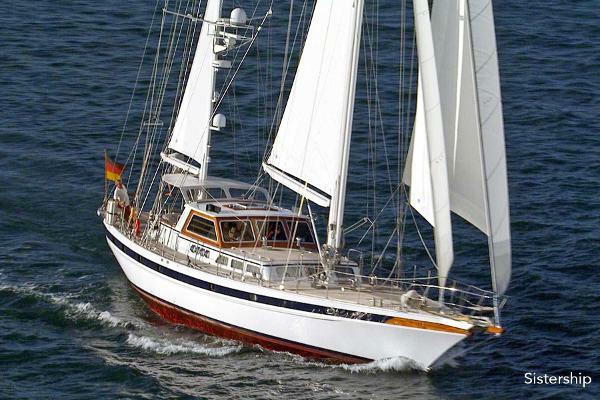 In 2012 she has been completely repainted (mast, topsides, hull) her rig has been checked and a new teak deck was laid. In 3/2014 a new main engine has been installed. Over the winter 16/17 a new ONAN generator will be installed (although the old one still works fine with only 6.500hrs) the cockpit will be re-varnished, new starting batteries installed and other maintenance jobs performed. She presents in excellent overall condition.